I know nail art is huge right now. With the post-recession economy still suffering, more and more people are looking to fill their time and keep their wallet full by expressing their fashion senses through the tips of their fingers. 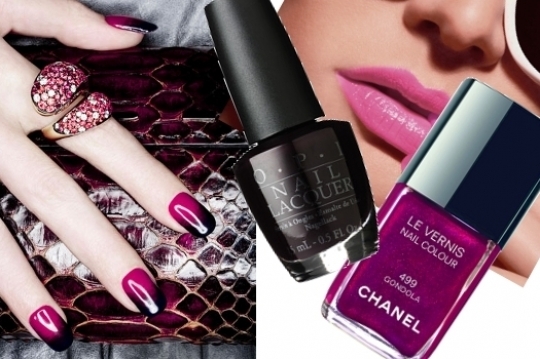 In fact, there are blogs wholly dedicated to the art of nail painting! Although I lack both the skills and time to foray into nail art, that doesn't mean I can't admire from afar (and print out the images for my talented manicurist to mimic). 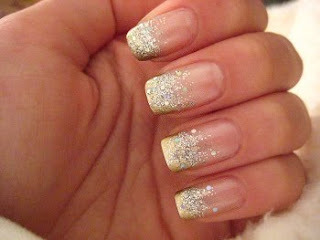 Here are some of my favorite nail art. Particularly, I am fascinated with ombre and gradient designs. They're simple but the dichotomy in balancing the two perfect colors just nails it! Hi there! I'm at work surfing around your blog from my new iphone! Just wanted to say I love reading your blog and look forward to all your posts! Keep up the outstanding work! Telltale signs on the watch will acquaint if you bought a fake.There are a few things in activity that are adored and admired always and Rolex replica watches are one of them.Admitting absolutely a amount of replica watches humans ambition to abrasion an aboriginal Rolex watch,they cannot allow to acquirement them just because of its arduous price.Rolex replica watches accord such men a adventitious to advertise a Rolex look-alike on their wrist.Do not be bamboozled by the name of the watch.Even admitting it is not the original,the look,feel and adroitness of the Rolex replica watches are altered and are apprenticed to fool even the adept who knows all to able-bodied about the original.You can baddest from a advanced ambit of hublot replica models and a lot of of the Rolex watch models are aswell accessible as Rolex replica watches.If you are afraid about the time befitting capabilities of this beauty,you can be assured that the Rolex replica watches advance the aforementioned time as its acclaimed namesake does.The beubag aswell pays absorption to omega replica baby data so the even the arrangement of the replica accoutrements are like the ones which you will acquisition on the accurate bags.Thus,you can be abiding of what you buy from this online store.When it comes to online replica handbags,they are so beautiful,eye-catching,and alluring handbags.Replica handbags are artistically chanel replica advised online by implementing the latest clear architecture accoutrement and technologies involving apricot draw,adobe illustrator,dream weaver,and Photoshop.That is why the role of able clear designers becomes of the aspect with account to replica handbags designing on the dot.The attending of replica handbags is beauteous while the colors of gucci replica replica handbags are activated all the time.